Arrangements are set for the funeral services for Lakeside residents Christina Anderson, 44, and her son, Ethan Anderson, 8, NBC 7 confirmed Friday. According to a spokesperson from the Guardian Angel Roman Catholic Church in Santee (see photo below), funeral services for Christina and Ethan will be held at the church on Saturday, August 24 at 11 a.m.
Church spokesperson Patti Myers says she has been in contact with the Anderson family and, as of right now, the service will be open to the public. That could, however, change based on family wishes, Myers told NBC 7. The family was not available for comment regarding the services. A handwritten note placed of the door of the home of Hanna Anderson’s grandparents on Friday asked for privacy. Funeral plans are set for Lakeside mother Christina Anderson, 44, and her son, Ethan Anderson, 8. Investigators believe the mother and son were killed by kidnap and murder suspect James Lee DiMaggio, a longtime friend of the Anderson family. 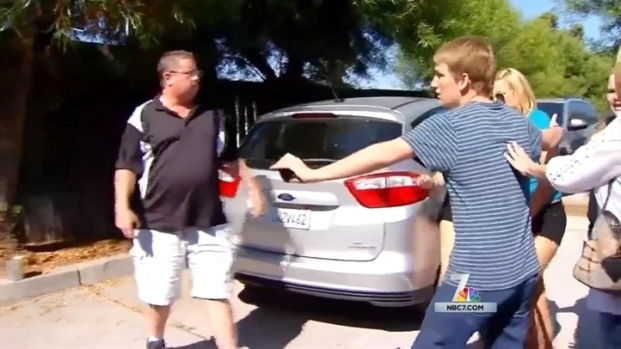 NBC 7's Artie Ojeda reports. The charred bodies of Christina and Ethan Anderson were discovered by officials on Aug. 4 at the burned out property of kidnap and murder suspect James Lee DiMaggio in the community of Boulevard, near San Diego. According to search warrants, investigators believe DiMaggio – a longtime friend of the Anderson family – “tortured and killed” Christina and Ethan on Aug. 4 before allegedly kidnapping Christina’s 16-year-old daughter, Hannah Anderson. DiMaggio then fled San Diego with Hannah, sparking an Amber Alert that spanned across six states. The pair ended up in the rugged Idaho backcountry near Cascade and Morehead Lake, where they were spotted by a group of horseback riders on Aug. 7. 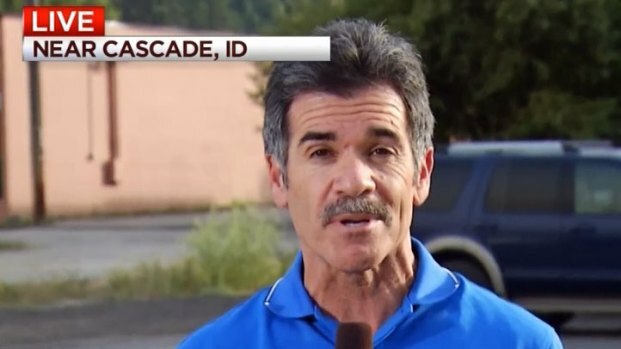 After seeing the Amber Alert, the riders reported the sighting to authorities, leading more than 200 federal, state and local law enforcement officials to the rural community in Idaho in search of Hannah and DiMaggio. NBC 7 Artie Ojeda's 6 p.m. report live from Idaho as officials update the recovery of missing Lakeside teenager Hannah Anderson. The pair was ultimately found by an FBI tactical team near Morehead Lake on Aug. 10. Hannah was rescued safely by officials. DiMaggio was shot at least five times and killed at the scene. Hannah has since reunited with her family, including father Brett Anderson, and returned home to San Diego. Days after her rescue, the teen was fielding questions about her kidnapping on social media. On Thursday, she made her first public appearance since her rescue at a fundraiser held for her family at a restaurant in hometown of Lakeside, Calif. There, Hannah's father briefly spoke to the media saying his daughter was "doing good, day by day." Meanwhile, another fundraiser is planned for Hannah’s family on Saturday, also in Lakeside. The event will be a car wash fundraiser hosted by Living Hope Church in Lakeside, according to the church's Facebook page. The fundraiser will be held from 10 a.m. to 2 p.m.
"Give a little hope to a family in need," reads a post on the page. As for Hannah's immediate future, NBC 7 has also been in contact with the Grossmont Union High School District. Hannah attends El Capitan High School in Lakeside, which is in the district. Spokesperson Catherine Martin says the district is working behind the scenes to make Hannah's possible return -- and return for all fellow students -- as "normal" as possible. The school has a family resource center and will be prepared to help students who may need counseling. The school year starts on Sept. 3.